Join us on Sunday, February 17 for one service at 10:00 am. 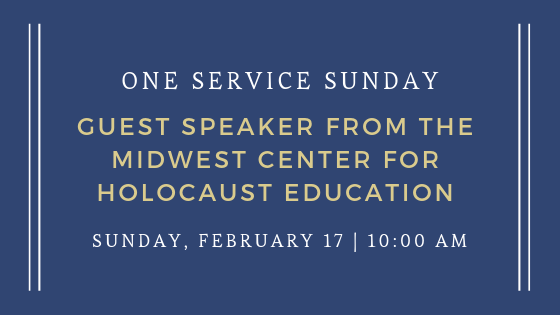 We will welcome a speaker from the Midwest Center for Holocaust Education who will share his parents’ memories of the Holocaust as well as his own perspectives on growing up with Holocaust survivors. Invite a friend and join us for this opportunity.